We are an approved vendor through Commonwealth of PA staff augmentation contract and are also listed on the Pennsylvania ITQ Contract, and a NMSDC Certified MBE. IT Project Management for all program areas using the CN-PEARS System. This system processes application and reimbursements for the School Nutrition Programs within Pennsylvania. Division liaison with CN-PEARS Vendor. Division liaison with COMPASS Vendor. 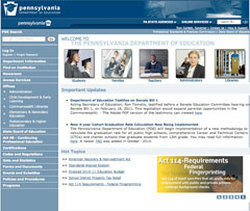 Implementation Manager for PrimeroEdge PA Student Eligibility System (SES). Division liaison with PrimeroEdge SES Vendor. Conduct business analysis and communicate to vendor business needs and technical solutions. Manage change requests and risk assessments. Full life cycle - User acceptability testing through production deployment. Evaluation of current business practices and policies within Division. Recommending changes and policy creation based on best practices concerning USDA Regulations and Office Policy. 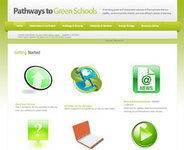 This site is designed to provide school districts with helpful information in one location. It includes the latest information on state programs and grants available for schools, as well as best practices from districts around the state.